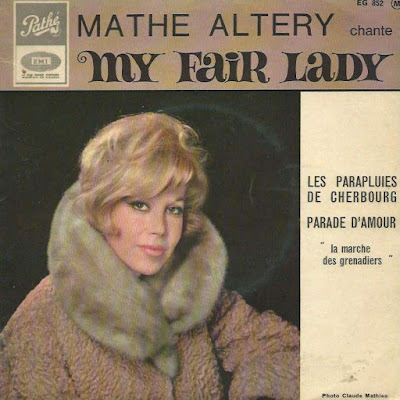 Here are the French versions of 3 classic songs - from "Mary Poppins", from "My Fair Lady" and from "The Sound of Music" - performed by Mathé Altéry, the French Julie Andrews, nicknamed "the nightingale of the fifties". 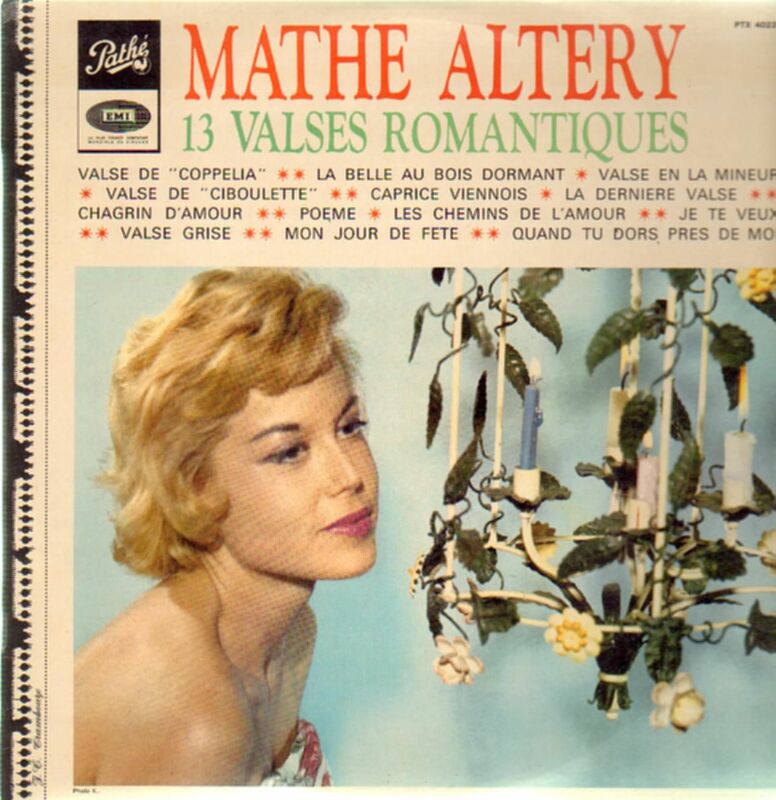 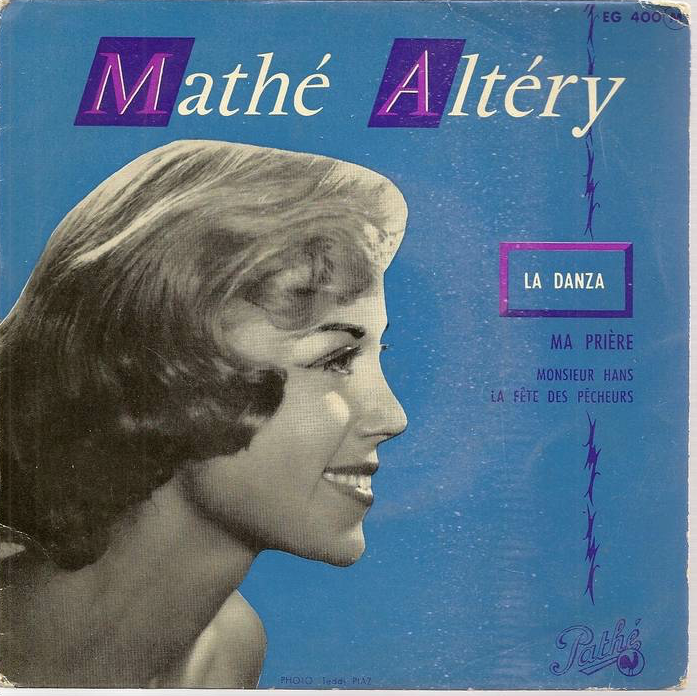 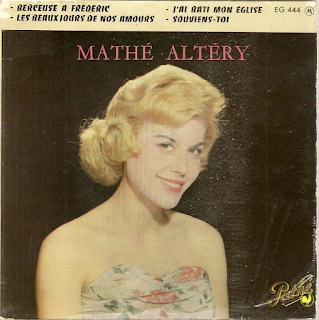 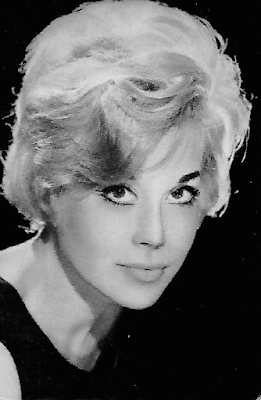 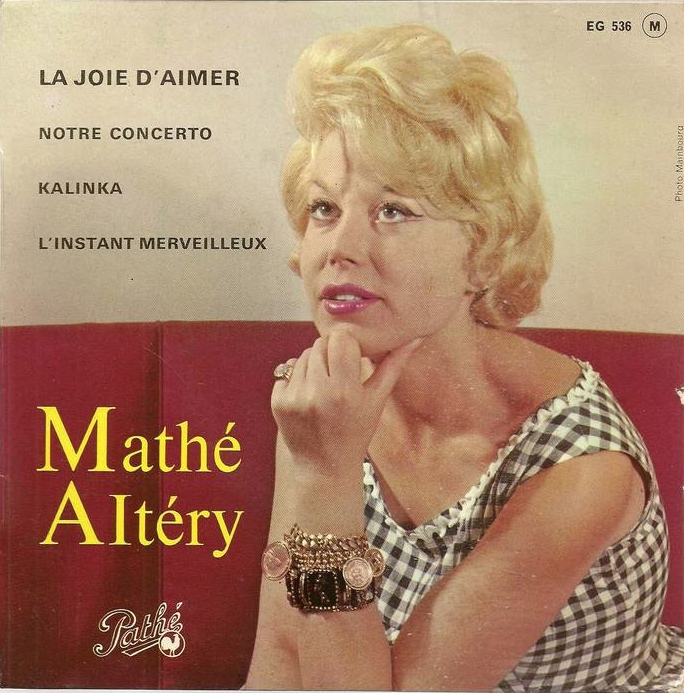 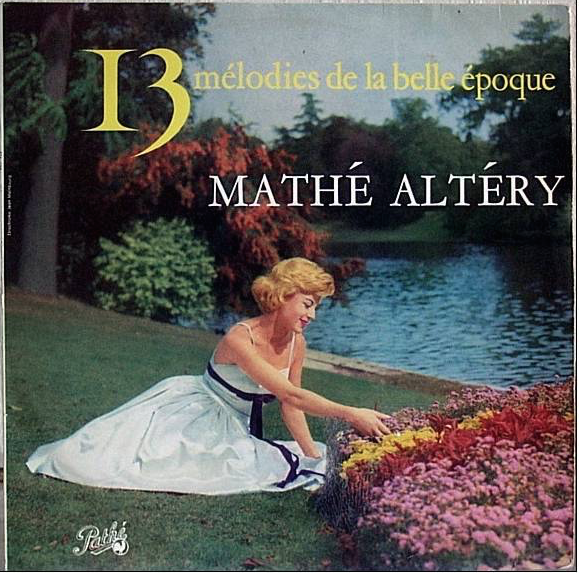 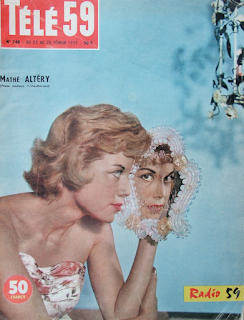 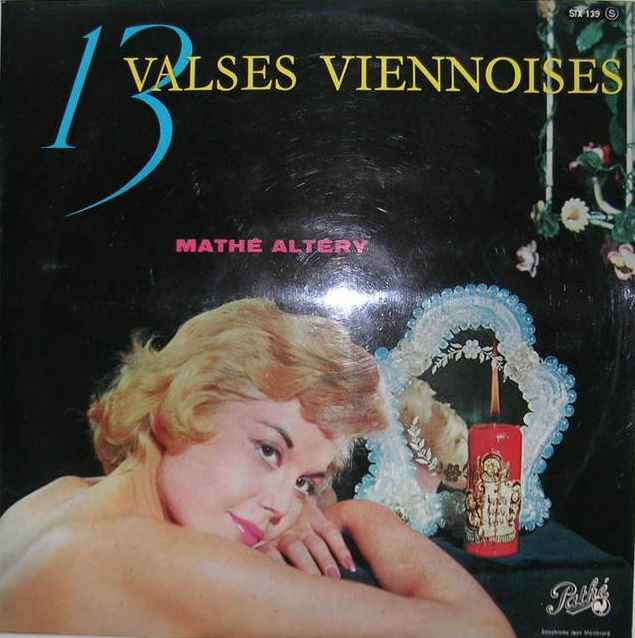 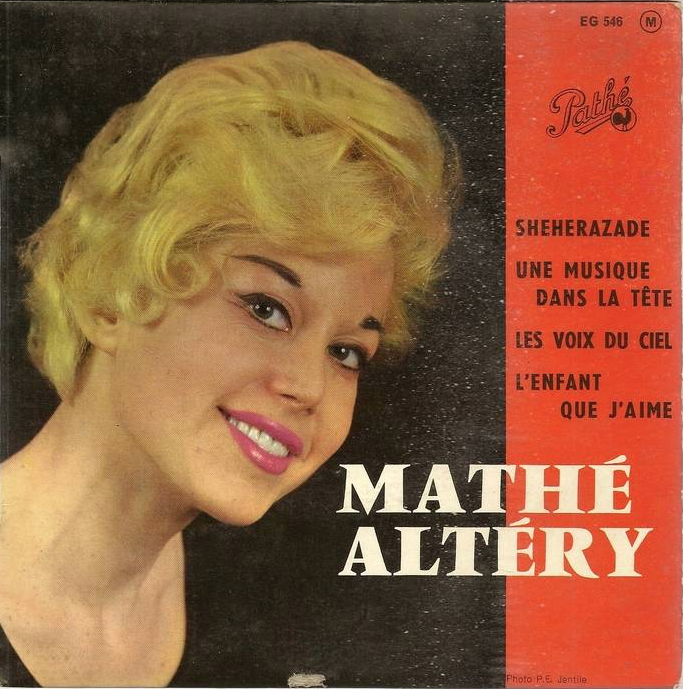 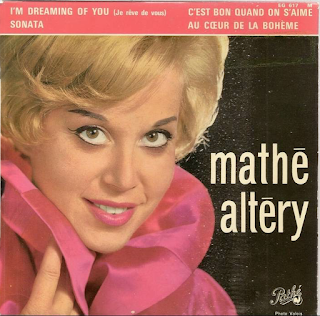 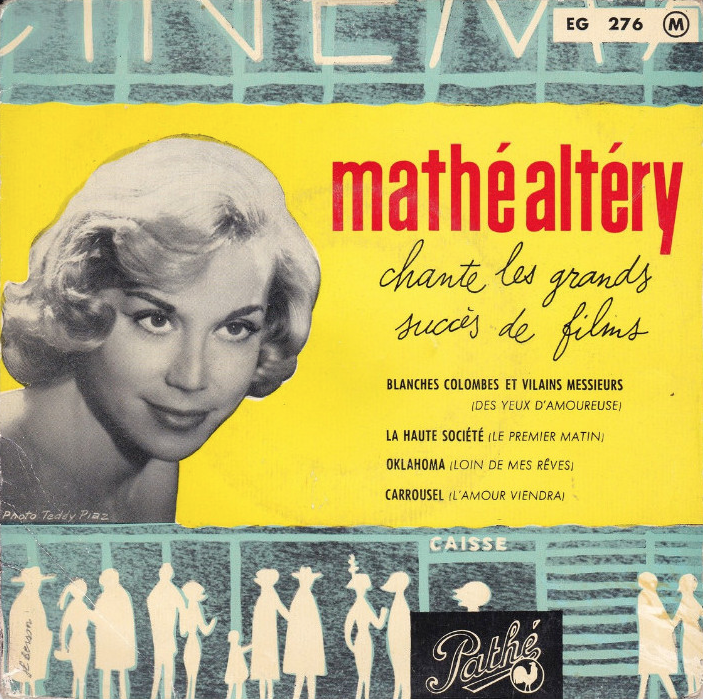 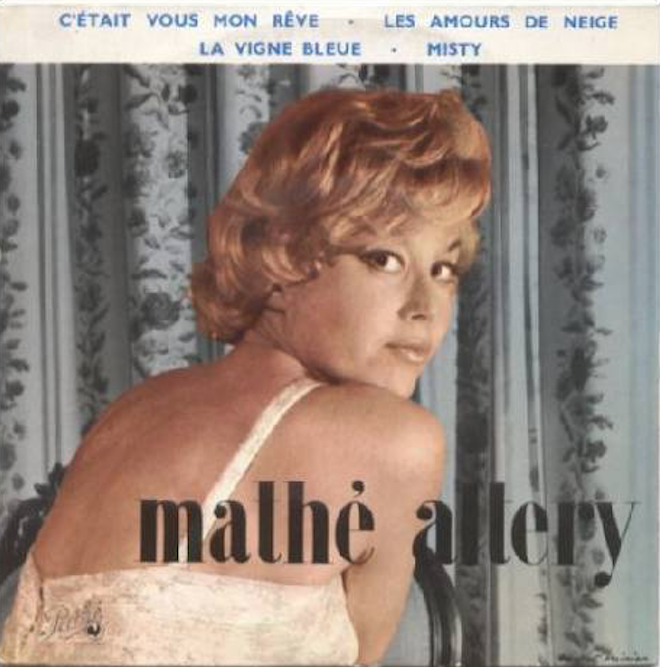 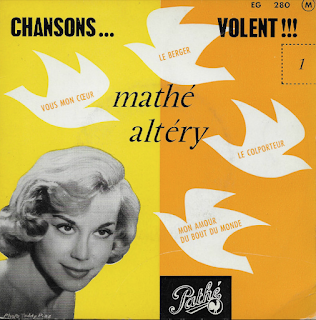 Mathé Altéry (born Marie-Thérèse Altare, in 1927), is a French soprano singer prominent in the 1950s and 1960s for her singing of operettas and French songs. 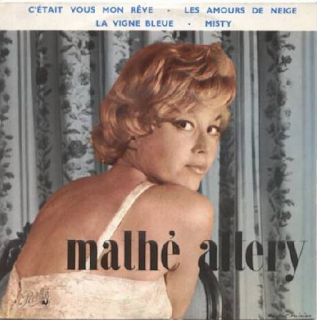 Mathé Altéry is the daughter of French tenor Mario Altéry. Altéry was born in Paris. She began her singing career in Cherbourg-Octeville, Manche, Basse-Normandie, where her father was working at the time. 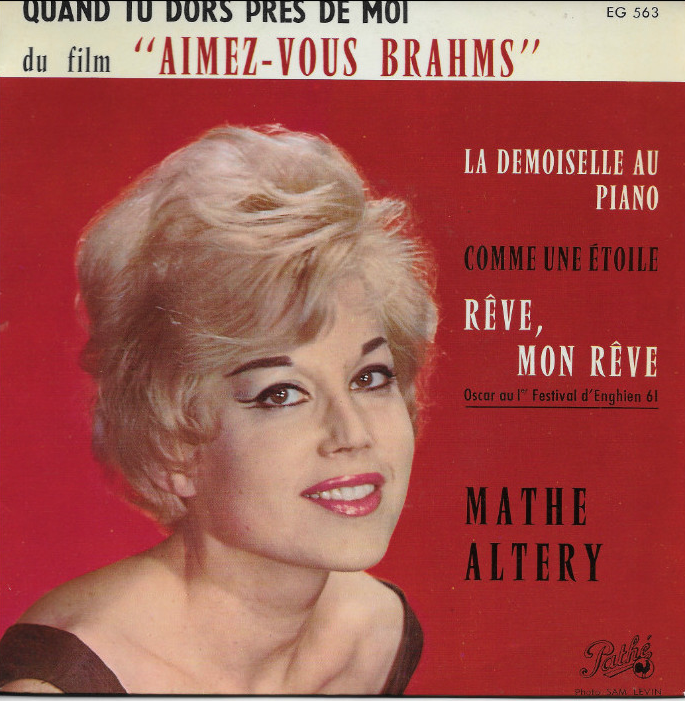 After studying classical music, Altéry began as a chorister at the Théâtre du Châtelet in Paris, in the operetta Annie du Far-West (Annie of the Wild West). 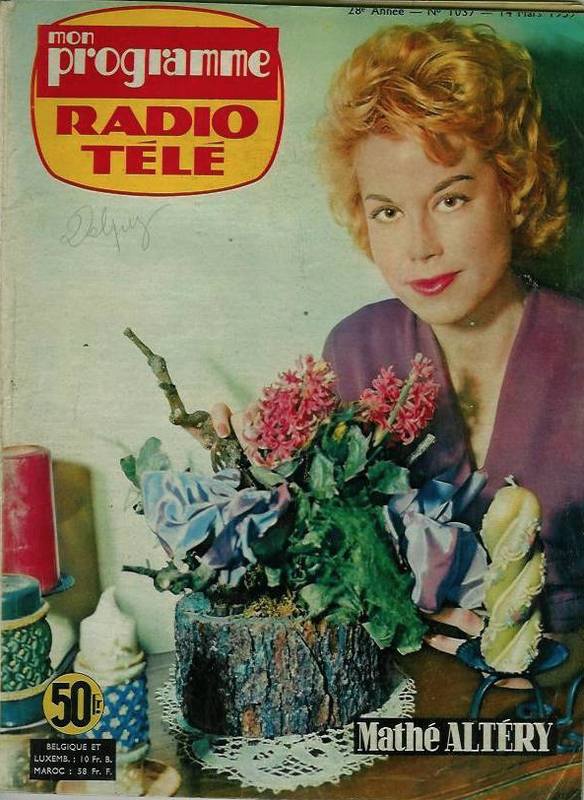 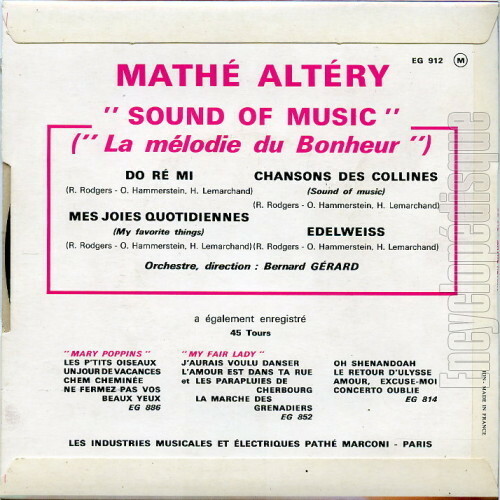 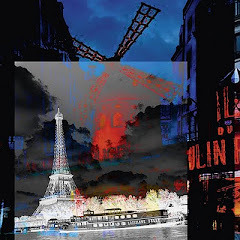 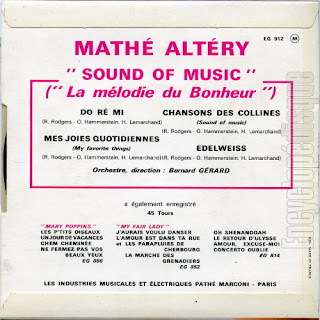 In 1956, Altéry represented France in the first Eurovision Song Contest, with the song "Le temps perdu" (Lost Time). 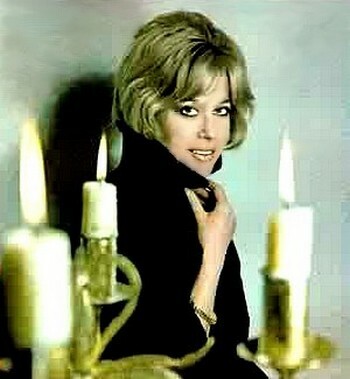 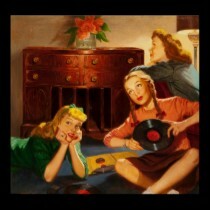 She was the dubbing singing voice of Julie Andrews and Audrey Hepburn. 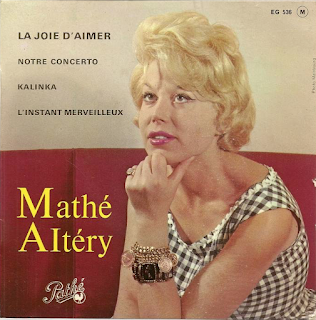 Enjoy Mathé Altéry's fresh style!